Louisville may seem like an unlikely place for a thriving specialty coffee community, but the craft beverage industry built this city. Kentucky produces ninety-five percent of America’s bourbon and, in another era, most of it passed through Louisville’s ports. Today an enthusiastic community of coffee roasters and baristas are trying to make Louisville just as famous for its coffee. 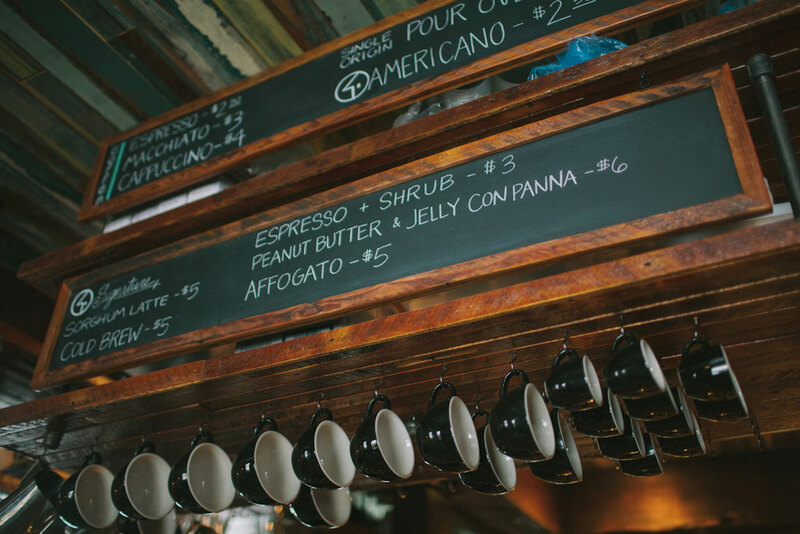 Craft coffee shops across America share a plethora of commonalities. But beyond the exposed brick-accent walls and tattooed baristas, Louisville’s coffee scene has a remarkably unexpected personality. As a city that straddles America’s North–South divide, Louisville is marked by a committed, Midwestern work ethic and an authentically Southern approach to hospitality. These values permeate the local coffee community to create a sense of camaraderie that transcends company boundaries. Although the metro area boasts over 1.3 million people, in many ways Louisville feels more like a small town. Baristas know their customers by name, and it’s rare to visit a local café without finding an off-duty barista from another company kicking back. If there is one thing that sets Louisville apart as a coffee city, it is a devotion to latte art. 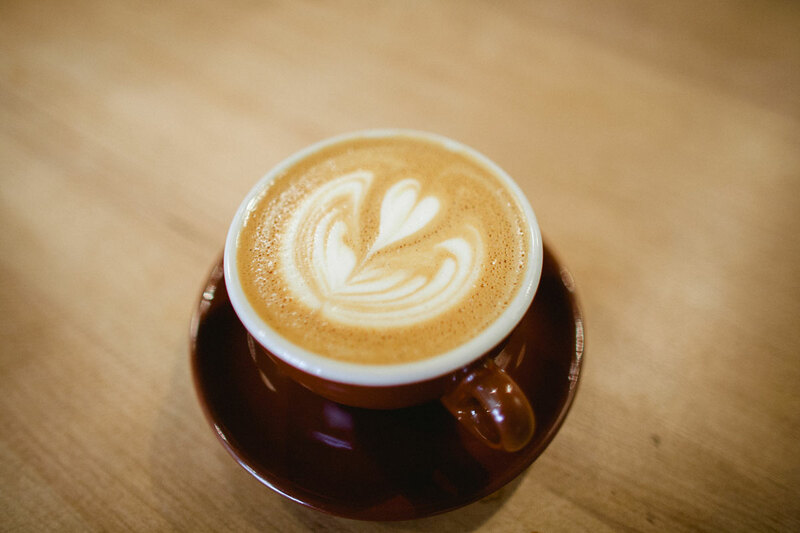 Of course, these days it is rare to have a cappuccino that’s not graced with a heart or rosetta, but Louisville baristas have a keen interest in the aesthetics of pouring milk into espresso. Please & Thank You Coffee. This obsession began in 2008 when Ryan Soeder, a Starbucks barista, met Kenny Smith, who worked for local roaster Sunergos Coffee. Kenny invited Ryan to practice latte art using his home espresso machine. What started as late-night practice sessions eventually became latte art house parties that attracted baristas from around the state. The hard work paid off. Ryan, who is now a retail educator for Intelligentsia Coffee, would go on to win the World Latte Art Championship Open at the 2010 Coffee Fest in New York. Smith won the SCAA’s first latte art exhibition and has placed at three World Latte Art Championships. Another fixture of those early practice sessions, John Letoto, is well known in the barista community as the inventor of the popular social media hashtag #fiveouncefriday in which baristas pour their best design in a five-ounce cup. Historically, Louisville is a blue-collar, manufacturing city, and this legacy shapes the local coffee community. Most Louisville shops prefer to roast their own or buy locally from someone who does. 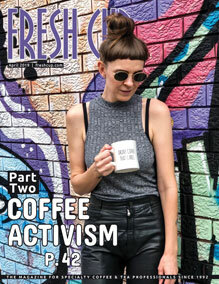 A number of commercial coffee roasters date back to the 1960s, but in 2004 Sunergos Coffee became the first company to embrace a third-wave approach to coffee. At a time when the local coffee scene was dominated by darkly roasted mystery blends, Sunergos introduced a focus on origin, variety, and process. The baristas at Sunergos, however, are far from your stereotypical coffee snobs. 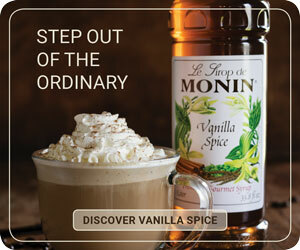 Their emphasis on quality is graced by a desire to make anyone feel comfortable and welcomed in their stores. Although the baristas would prefer to brew you a Chemex of one of their micro-lots, they’ll happily make you a mocha and offer to cover the latte art with whipped cream if you prefer. 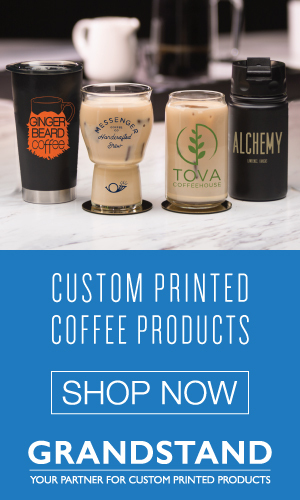 Sunergos has wholesale accounts from Los Angeles to Brooklyn, but there’s no better place to try their coffee than their third and newest café, situated in the heart of downtown Louisville. What the shop lacks in seating (there isn’t any), it makes up for in espresso options: Sunergos’s trademark espresso blend and two single origins brewed on Kentucky’s first Slayer espresso machine. A local chalk artist designs elaborate illustrations for each espresso, which hang just above Sunergos’s trophy for America’s Best Espresso from Coffee Fest Chicago, 2013. 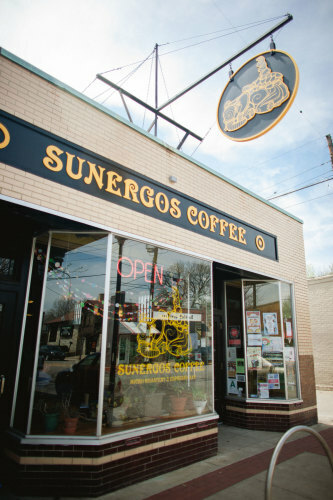 Sunergos still houses a roaster at their original Preston Street location, but most of the production happens in Louisville’s Beechmont neighborhood. The voluminous space features a massive Petroncini roaster and a café with ample seating. It’s the sort of place you can stay all day, and many people from the community do. A glass wall separates the café from the production facility, allowing the customers to watch the process. Another reason to visit Sunergos’s headquarters: Beechmont is Louisville’s most ethnically diverse neighborhood and features the city’s best pho. Across the Ohio River in New Albany, Indiana—affectionately dubbed Louisville’s Brooklyn—production at Quills Coffee happens on a smaller scale (Quills is where I work as a trainer). Founded in 2007 by brothers Nathan and Gabriel Quillo, Quills Coffee started as a Sunergos wholesale account, but began roasting in 2011. The company has garnered accolades from publications as varied as Imbibe and Louisville Magazine, but a naturally processed coffee from the El Eden cooperative in Guerrero, Mexico, launched Quills into the national spotlight. The coffee was selected by Craft Coffee, a subscription program, to be shipped to more than 2,000 homes across North America. Craft went on to feature Quills two more times in the last year. 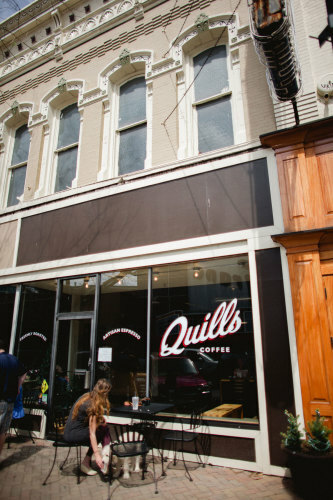 In April 2014, Quills, which has two cafés on the Kentucky side of the river, also became the first Kentucky coffee company to compete in the US Barista Championship and the US Cup Tasters Challenge. Although the baristas would prefer to brew you a Chemex of one of their micro-lots, they’ll happily make you a mocha and offer to cover the latte art with whipped cream if you prefer. Quills’ Baxter Avenue shop is a popular destination in the Highlands, long considered Louisville’s Bohemian neighborhood. The turn-of-the-century building features high ceilings, hardwood floors, and a parliament of owl figurines donated entirely by loyal customers. During the academic year, however, the busiest Quills location is on the campus of the University of Louisville. Baristas crank out espresso beverages on a La Marzocco Strada while graduate students nurse bottomless cups at reclaimed farm-wood tables. It’s a popular place for students and faculty alike to work on projects or socialize between classes. In addition to the standard espresso and auto-drip options, each Quills features an extensive pour-over menu as well as seasonal specialty drinks. These aren’t tossed off, secondary menu concoctions. One, called the Smokehouse, uses Kentucky sorghum and liquid smoke to recreate the palate of Tennessee barbecue, a favorite dish of former Quills lead barista and Smokehouse creator Philip Revell. A recent addition to the menu is the Quills Derby Soda, a decadent combination of vanilla, cream, and carbonated cold brew that draws upon a rich Kentucky tradition of naming recipes after Louisville’s most famous horse race. Although Argo Sons is a new company, they are quickly emerging on the national scene. James took third in the Southeast region of the 2014 US Brewers Cup and was the first person from Kentucky to compete at the national championship. “I’m honored to be the first Brewer’s Cup competitor from Louisville at nationals,” James says. “Making a decision to roast my own competition coffee has meant that I’ve really learned a lot about roasting.” James’ dedication earned him a place in the final round, where he placed sixth. Remarkably, James was the only Brewers Cup finalist to not use a Gesha roast. Kentucky’s first modbar system, at Gralehaus. An outstanding café using roasts from outside Louisville is Gralehaus. Lori Beck and Tyler Trotter, the same duo behind the acclaimed beer bar Holy Grale, opened the café earlier this year to great fanfare. Holy Grale has earned a reputation for both its extensive beer selection and creative food pairings, so it’s no wonder that the menu at Gralehaus is crafted with equal care. Two espresso options from Intelligentsia are brewed with a Mahlkönig K30 Twin and Kentucky’s first Modbar system. 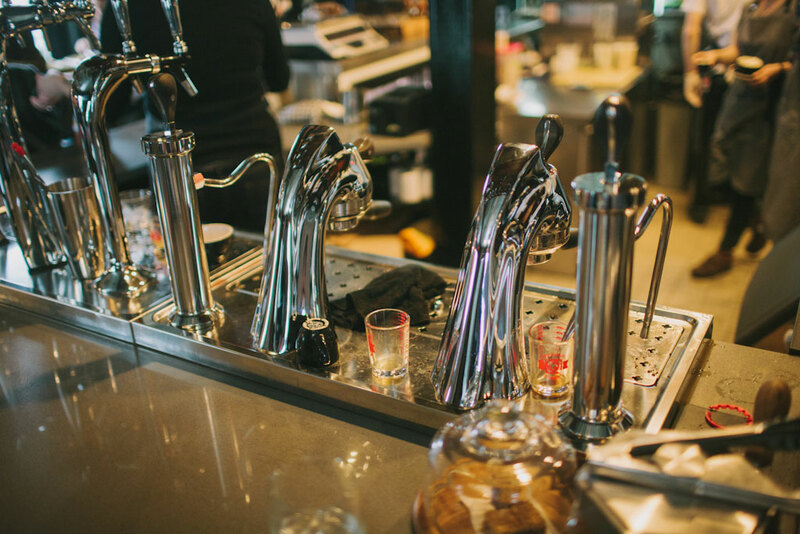 The boilers for this much-hyped modular espresso machine sit under the counter, creating an uncanny homogeneity between Gralehaus’s beer taps and the Modbar’s group heads. Filter coffee is brewed with the Modbar’s pour-over module and a Kalita Wave. The real star at Gralehaus, however, is the food. Chef Andy Meyer’s menu focuses on Southern classics, but with an eccentric twist. The sausage and grits is made with a North African style lamb sausage, and duck gravy and a poached egg add some flair to their popular biscuits. If that weren’t enough, Beck and Trotter are in the process of converting the second floor into a bed and breakfast, which means visiting coffee tourists will soon be able to enjoy their morning coffee before they even go outside. Gralehaus proves that good coffee and good food, long strange bedfellows in America, belong together. The menu board at Gralehaus. 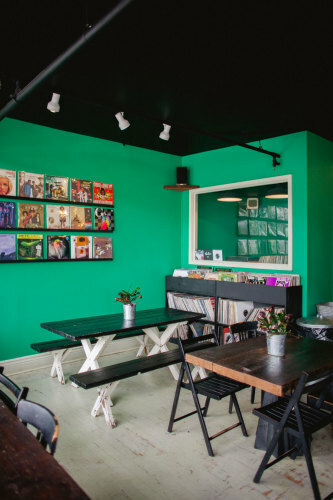 A thorough Louisville café crawl is rounded out by Atlantic 5 and Vint. Atlantic 5, a recent opening from restaurateur Michael Trager-Kusman, features a bright red La Marzocco FB-80, Sunergos Coffee, and an impressive collection of vintage lunch boxes. Vint, a quality-focused cousin of local chain Heine Brothers, brews darker roasted coffees with care and precision on an upscale stretch of Frankfurt Avenue. Vint also boasts an extensive wine menu with cheese pairings, a perfect indulgence for over-caffeinated travelers. 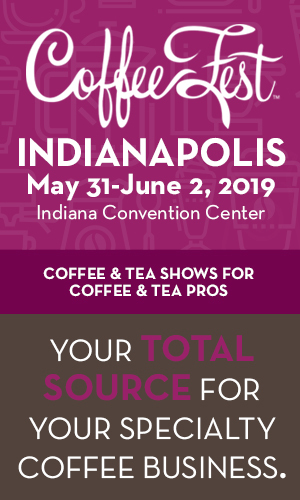 A close-knit community of young coffee professionals make Louisville an exciting place to work in the coffee industry. New, cutting-edge cafés and award-winning roasters are helping Louisville emerge as an American coffee destination. But be warned if you plan to visit: you might want to stay. 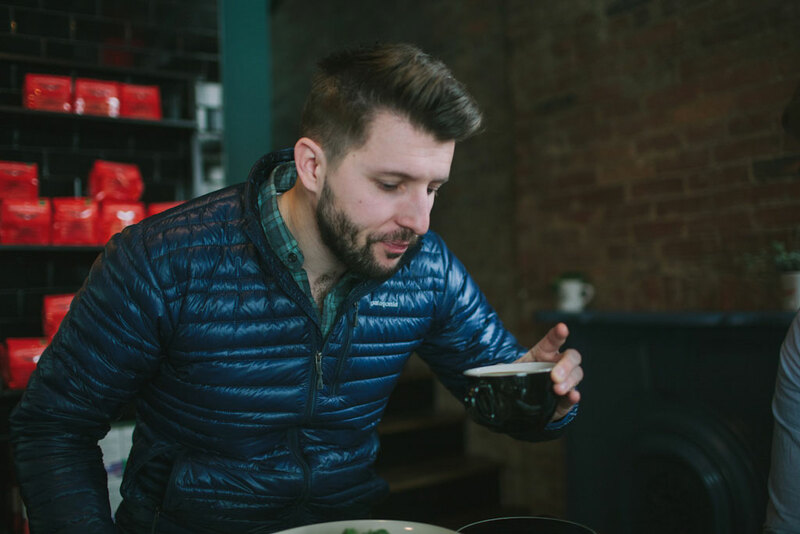 —Michael Butterworth is a barista trainer at Quills Coffee and founding editor of The Coffee Compass.